The Tiger Trowel features a dual depth notch design which gives 100% adhesive coverage and allows easy bedding of tiles. 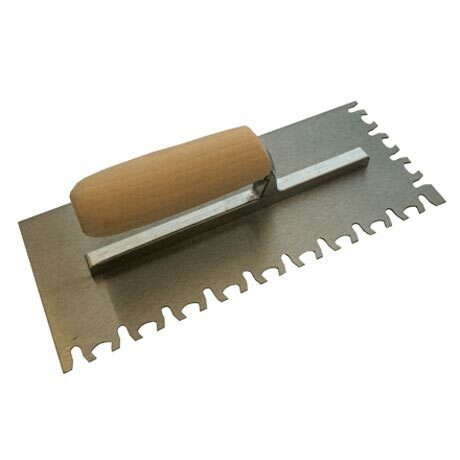 Ideal for laying tiles 300 x 300mm or greater. Manufactured with a carbon steel blade and an aluminium handle with wooden grip.